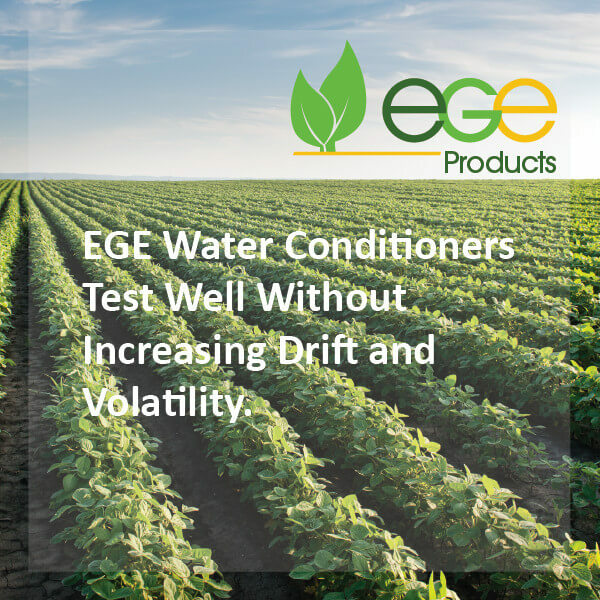 EGE has two water conditioning products that will be of special interest to the Cotton and Soybean farming communities. “We now have BASF approval to use these with Engenia, and they tested well without increasing drift and volatility,” says Co-Owner Matt Jaeger. “The challenge is making a highly effective water conditioner without using AMS. We wanted to help farmers with a low use rate, but a cost-effective way to condition their hard water.” Their first water conditioning product, Shackle, makes use of chelating technology to inhibit negative effects of metal ions in water, and is proven safe for in crop applications. The second product, Shackle EXT, benefits the farmer as it controls drift and the polymer encapsulation technology improves residual benefits of Engenia herbicide. value in good farm practices, they wanted to help their customers with spray applications.